Startup CEO and entrepreneur Patrick Henry is launching a new company focused on helping entrepreneurs grow their companies. QuestFusion advises company founders, CEOs and boards of directors on areas of strategy, new business development, and raising growth capital. QuestFusion has decades of executive experience in navigating a company through rapid growth, and the dynamics associated with changes in strategic direction. QuestFusion provides significant experience in developing and implementing business plans and processes that are suitable for emerging growth companies. Unlike the large strategy consulting firms, QuestFusion takes a more hands-on approach and is familiar with particular challenges facing startups and emerging growth companies. QuestFusion can help founders and CEOs that are running up against the wall in strategy formulation or execution, articulation of their business strategy, raising capital, and acquisition of new customers. QuestFusion also makes equity investments in companies as an angel investor, and at the right time, can help facilitate the M&A processes for emerging growth companies. QuestFusion’s market focus is on technology companies, the pay television ecosystem, consumer electronics, the connected home, and the Internet of Things (IoT). Patrick Henry, the CEO of QuestFusion, is a San Diego-based entrepreneur and the former CEO of Entropic Communications. Mr. Henry is a seasoned executive, CEO, and board of directors’ member, with over 25 years experience in managing high technology companies. Prior to forming QuestFusion, Mr. Henry had over 13 years experience as a CEO at three different startup technology companies. As CEO of Entropic, he took the company from a pre-revenue and pre-product phase, to a successful company. Entropic was acquired earlier this year by another San Diego tech company, MaxLinear. A recent interview with Mr. Henry about his experience including CEO of Entropic can be found at http://patrickhenryentropic.com/. Mr. Henry has been involved throughout his career with defining new products, identifying new market opportunities, navigating through rapid phases of growth, and managing turn-around situations. Mr. Henry has significant experience in the M&A process as both a buyer and seller several times over. Mr. Henry brings a practical, disciplined, collaborative and focused problem solving approach to the executive table and the boardroom. As the founder and CEO of QuestFusion, he has a different consulting approach where he is focused on the actionability of a strategic plan, and will help CEOs and founders in the development and execution of their strategy. “I have noticed throughout my career that most consultants give advice, but don’t really get a grasp of the practical realities of execution of a strategy, and how things need to change in a rapidly evolving market or customer environment. As an experienced operating manager in these rapid growth and rapid change environments, I can help guide a CEO or board through these dynamic situations and provide a sounding board for a CEO that is dealing with these thorny issues,” said Patrick Henry, the CEO of QuestFusion. Patrick Henry, as CEO of Entropic, was the winner of the 2008 Ernst and Young Entrepreneur of the Year award for Technology, the San Diego Daily Transcript 2008 Top Influentials, and 2011 San Diego Business Journal Most Admired CEO. Mr. Henry is a board member of EvoNexus, a San Diego non-profit trade organization and technology company incubator and accelerator. About QuestFusion: QuestFusion advises company founders, CEOs and boards of directors on areas of strategy, new business development, and raising growth capital. QuestFusion has decades of executive experience in navigating a company through rapid growth, and the dynamics associated with changes in strategic direction. QuestFusion provides significant experience in developing and implementing business plans and processes that are suitable for emerging growth companies. 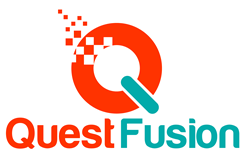 Our web site can be found at http://questfusion.com/.